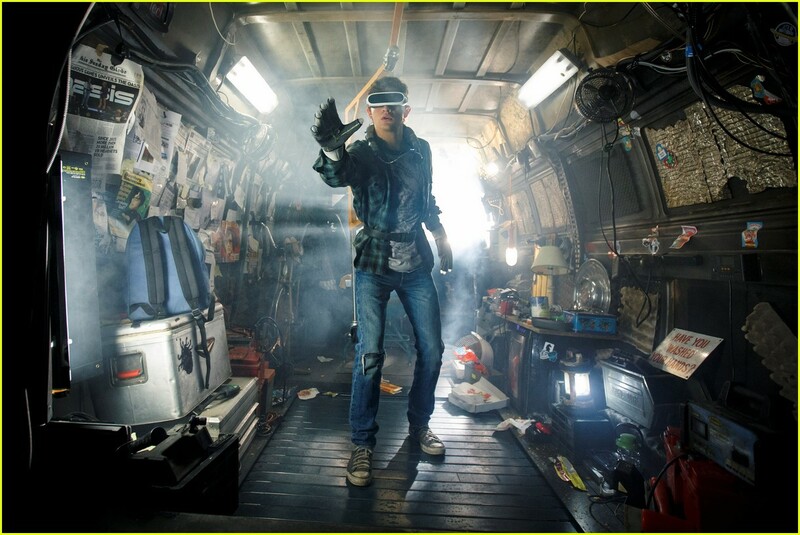 Ready Player One is based on the novel by Ernest Cline, which I read or rather that was read to me by Will Wheaton. I liked it for it’s attempt to capture the essence of fandom on the pop culture of the 1970s to 1990s. Knowing that Steven Spielberg would be directing the movie I was really looking forward to how they would adapt the story for the big screen and whether the movie could capture the spirit of the book. I basically avoided spoilers of the most essential plot twists, at least readers of the novel should go unharmed. A warning for everybody who doesn’t want to be spoiled AT ALL: Don’t read on! I went so see RP1 in 3D at our local multiplex cinema with a friend as a preview one day before the official opening (also testing out the VIP seating on that occasion, it’s pretty space!). 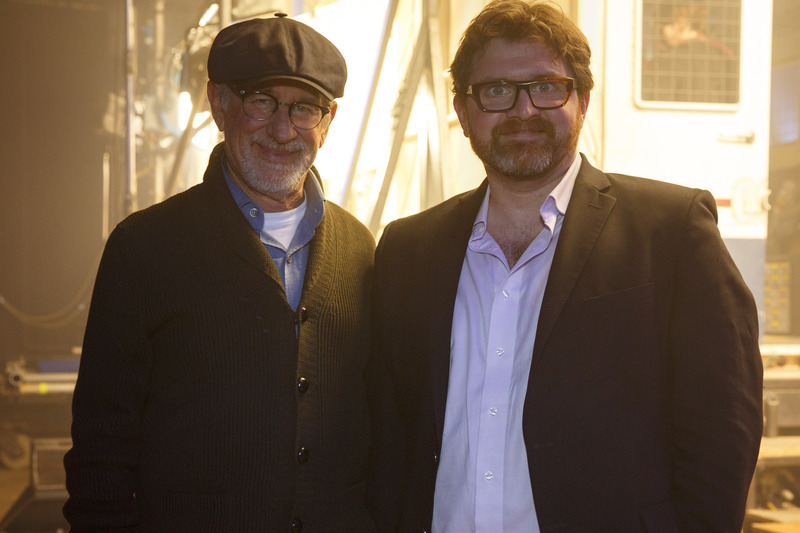 I’m a huge fan of Spielberg and I really liked the book, so the movie was a done deal to me. However, I know that in taking a novel to the big screen you usually have to omit certain aspects to make it work and maybe even streamline the remaining plot to make it all fit into two hours of film. Sometimes those can be elements you fell in love with and are looking forward to see in a movie, so I was prepared for some of that to happen. I was not expecting an instant classic, mainly because even the book mainly was entertaining and not much else. But let’s first take a quick look at the story in very broad strokes. Wade Watts aka Parzifal is a teenager in the 2040s who lives with his aunt in the „stacks“ (basically a high rise trailer park) of Columbus, Ohio. 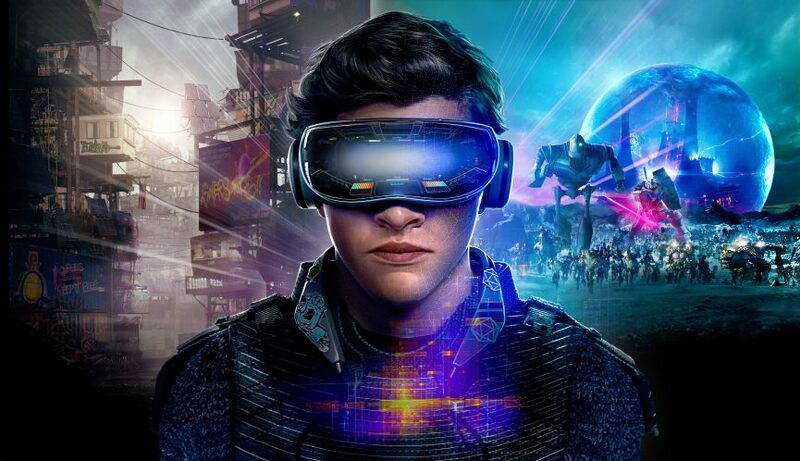 The real world basically is a mess (although it looks quite ok in the movie tbh) and people spend much if not most of their time in the OASIS, a interactive virtual-reality world/game that could be described as Second Life on steroids. Here you can be and do anything. The OASIS was created by James Halliday (a total nerd/geek and 1980s pop culture afficionado) and when he died he informed the world that he had hidden an Easter Egg somewhere in the virtual world. Any player who finds the three keys and the hints to get to that Easter Egg would be the winner of a huge sum of money and the control over the OASIS. So players all over the world made it their goal to win the challenge, most notably a group called the gunters and IOI, a large corporation who wants to take over the OASIS and exploits it for advertising and business (Hint: They are the bad guys). Wade manages to win the first part of the challenge, a crazy car race, where he meets Art3mis, a famous player in the OASIS and his secret crush. His friend Aech is also playing. When Parzifal finds the first key all attention focuses on him immediately, and IOI lead by its CEO Nolan Sorrento tries everything to get him to win the hunt for them. But Wade denies them his help and so they are out to get him and his friends. They have to fight IOI inside and outside the OASIS while also trying to solve the pop-culture-laden puzzles Halliday left them with. 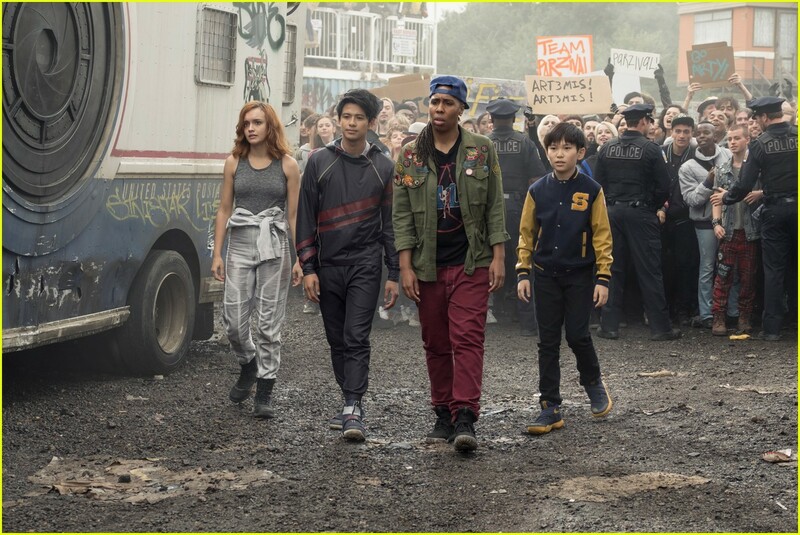 When they attack his real world home he is saved by his friends and meets them in real life for the first time. Soon after IOI captures Art3mis, and so the team has to come up with a plan to free her and also win the Easter Egg hunt to save the OASIS. There are a few more plot points, but you get the basic idea. If you have read the book you’ll notice that there have been some big changes: The whole first act has been restructured (by the author himself though) to make for a quicker entrance into the world and the characters minds while greatly simplifying the task to get to the first key. Unlike the book Parzival and Art3mis meet each other almost immediately in the OASIS and also in person at the beginning of the second act. The second task is similar to the idea in the book that one has to play through the whole of the movie Wargames, but they chose to use a different movie here, which they do in a very cool way, I loved that change. The third act is kinda similar to the book, but in the movie it’s Art3mis that is inside the IOI center which makes for some fun interactions and also front-rows the love story between the two main characters. The changes are all understandable in the context of film, still there are of course ideas that I kinda miss. E.g. we learn in the book that the OASIS is basically the place where everything happens, work, school (Wade, as part of a poor family, mainly has access to the OASIS to go to school there) and of course leisure time. In the movie it looks as if the OASIS is only a game world really, which makes it look much less influential. Also in the book Wade has an arc where he by winning the first key earns lots of coins, can get new equipment and after IOI kills his aunt, goes to another town. All this is either left out or merely brushed over by the film in about 30 minutes and it feels much less transformative and important, the action is really the main focus. The movie also very much focuses on the relationship of the two young protagonists, which in the book only meet face to face at the end of the story, so there is always a hint of possible romance but it doesn’t get in the way quite as much. I didn’t quite like that about the movie. What I loved about the movie is its take on comedy though, there are a lot of funny moments like Parzifal constantly left hanging on high fives he tries to make or i-R0k being a rather nerdy guy despite his badass avatar. Visually the movie is pretty much what I had expected. Presenting the OASIS in 3D is a perfect fit, and I don’t say this lightly. Usually I don’t need 3D, but here it worked like charm without being used too much as a show-off. The whole world feels like a computer game, but we only get to see a quite limited number of settings really. I’d loved it if they had shown some kind of map or overview or even a hint of the structure of the world that I imagine to be much more complex (based on what we learn from the book that is). What we get to see looks amazing though. Weirdly enough, so does the real world, although it’s supposed to be desolate from what I gather from the book. But apart from the stacks the world looks like a typical American town, rather clean and apparently with plenty of people roaming the streets. It’s not like everybody is home playing in the OASIS like we’re made to believe in the beginning. Yet still the final message of the film is to spend more time offline. That seemed unnecessarily preachy to me. The soundtrack by Alan Silvestri (John Williams apparently was busy with another Spielberg-project, The Post) is very noteworthy too. He manages to make it resemble some of his earlier work (Back to the future comes to mind, which is also heavily referenced in the film) but still make it an original and surprising soundtrack. Seemed like a perfect fit to me, especially since there is a lot of speed in this movie which the music accompanies beautifully. There is also something to be said about that cast of course. The young main protagonists all are far from unknown but still somehow fresh faces. 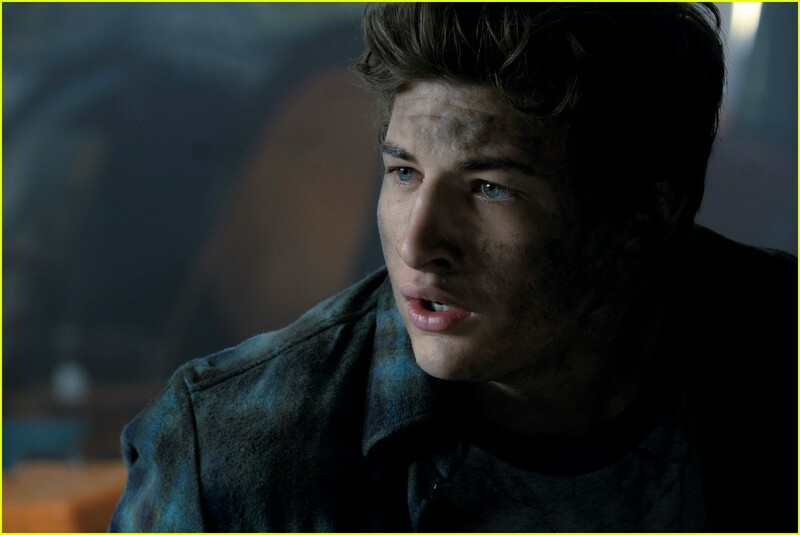 Tye Sheridan and Olivia Cooke do a good job with their roles, although of course I’m sure in every reader’s mind the characters of Parzival and Art3mis take a slightly different shape. Generally I felt all of the characters stay somewhat true to the book but at the same time have been cast way too stereotypical. 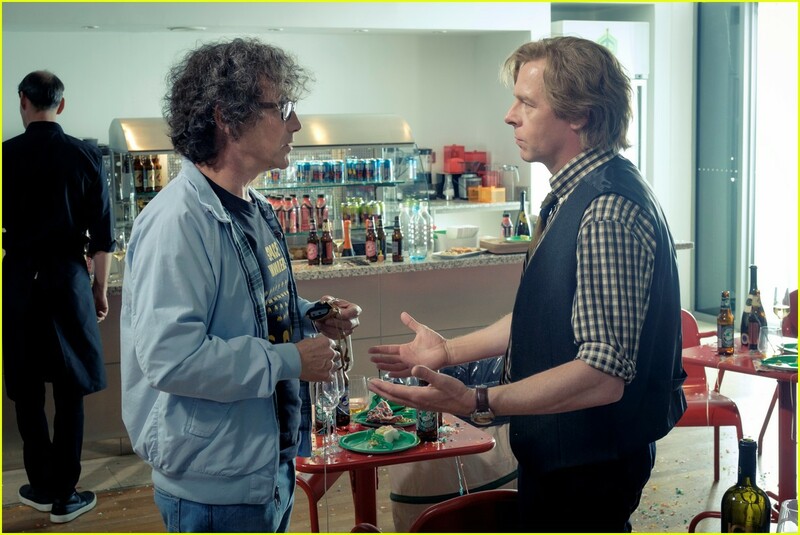 The supporting roles are quite impressive though with the unsung king of the nerds Simon Pegg as Ogden Morrow, as well as Mark Rylance as James Halliday, Ben Mendelson as Sorrento and T.J. Miller as i-R0k who all more than fulfill their assigned functions as mentor, villain or comic relief, but are rather limited by the speed and visual emphasis of the movie. Because what I felt works best for all characters are the scenes inside the OASIS, when the amazing avatars take over. That’s where the film really shows his the strength. At the end of the day I guess the movie is everything it’s supposed to be: it’s a crowd-pleaser, a blockbuster with typical blockbuster stereotypes, that also manages to extract the spirit from the book and bring it to the big screen, mainly the idea of a big collage of pop culture references in a fun and entertaining way. But it’s also a typical special effects film, which means that plot and character depth are not as important, while the look needs to be mass compatible and not too edgy. To that end the movie hides almost all of the few ideas the book offers that go beyond entertainment. But it’s also a Spielberg movie without technical flaws (beside the plot) and a fun story, that’s supposed to be a wild ride, but much like Raiders of the Lost Ark or maybe The Adventures of Tintin it’s mainly reminiscent of its inspirations and not an instant classic on its own right away. 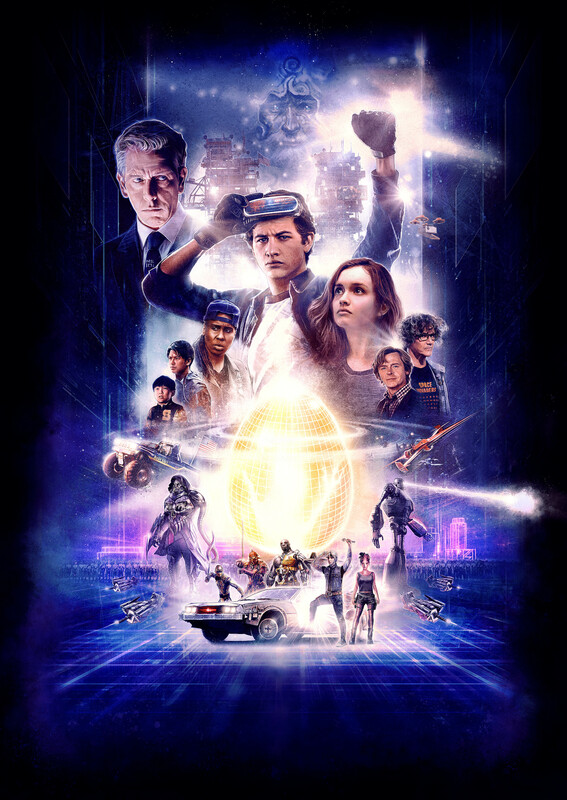 I had a great time watching, probably as much fun as I had listening to Will Wheaton reading the book, and I’m looking forward to see it again for more easter egg hunting.